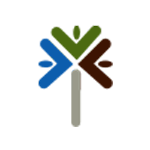 Triumph Business Capital is an invoice factoring company that provides advances in its clients’ outstanding invoices. It caters to trucking companies, freight brokers, government contractors, staffing companies, and more. In this article, we cover Triumph Business Capital reviews and pricing. Ready to get started? Get a quote. As of the date this article was written (February 7, 2019), there aren’t many positive Triumph Business Capital user reviews online. 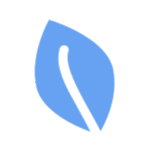 However, some users commended the company for its hassle-free application process, excellent customer support, and on-time funding. There are very few negative Triumph Business Capital reviews as of this writing. Some clients mentioned that the company’s qualifications for credit scoring are rigid. It is notable, however, that most of its clients are very satisfied with its level of customer service. 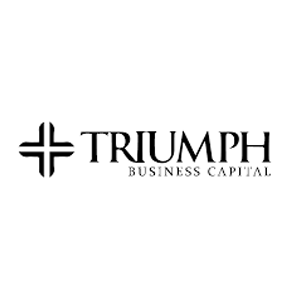 Triumph Business Capital pricing and rates are not readily available on its website, but it mentions that the company offers loans up to $6 million. Rates from other similar providers range from 0.75% to 4%. Some have origination fees and annual renewals. Interested users may contact the Triumph Business Capital sales team for more information on its rates and other services. 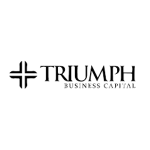 Ready to get started with Triumph Business Capital? Get a quote. What are the pricing options with Triumph Business Capital? The fee is based on a variety of considerations in the application process. Pricing options range from “flat” fees, to rates which vary with monthly factoring volume, to rates which combine lower factoring fees with charges based on the net funds employed. The company has options for almost all client requirements. How do I tell my customers that they will be mailing their invoices to Triumph Business Capital? Triumph Business Capital has a simple form referred to as a notice of assignment. It can be a very smooth transition for the business and its customers. Have you read these Triumph Business Capital reviews and are still not sure if it’s the right fit for you? Read our reviews of all top invoice factoring companies or check out one of these three Triumph Business Capital competitors.